Well, only 2 weeks of work left. This week I’m spending 6 hours a day training my replacement. Once I get through this week, for SURE in the final stretch. I will have her pretty fully trained, and can just ease to the end. It’s surreal to be so close to retiring. A dream of course for a VERY long time. This entry was posted in Uncategorized on October 16, 2018 by Silver Willow. This entry was posted in Uncategorized on October 9, 2018 by Silver Willow. It was fun to watch him play for the first time this year. He doesn’t quite get it yet, but that’s okay. He (periodically, LOL)…tries. 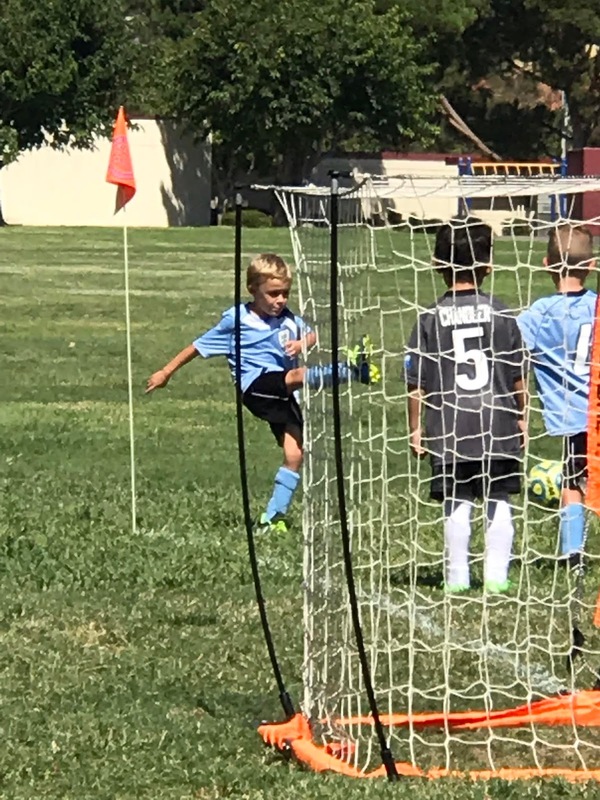 His older brother; soccer is his best sport. We’ll go watch him play this coming Saturday. This entry was posted in Uncategorized and tagged grandkids on October 3, 2018 by Silver Willow. For over a year, I’ve keep\\pt reading that the ‘constitutional crisis’ comes when Rod Rosenstein is fired. There is a large organization that was create about a year ago, to be able to INSTANTLY (within hours) galvanize the people in peaceful protests across the country when that occurs. However, it appears now it’s just galvanized around November election campaigns to help the BLUE WAVE. ORIGINALLY, You put in your zip code, it tells you where organized marches are scheduled to happen near you, within mere hours of Rod Rosenstein being fired. That can’t even be found on their website anymore. But you know what? I think the constitutional crisis IS HERE. All options are being shut down to us. The Separation of Powers no longer seems to exist. If that doesn’t constitute THE constitutional crisis, what does?! The FBI isn’t allowed to, or won’t help… with the Kavanaugh nomination. We can’t trust the media. The Congress is mired by GOP inertia. The President is a raging narcissist at best, a Putin puppet at worst. We can’t even trust that our votes will be properly processed. What options do we have left to restore our country? Outside of mass protest? (I would never be a part of a violent protest, but I can finally see how abject frustration could, perhaps, lead to them.) But massive peaceful protests HAVE been known to turn countries’ horrifying situations around. I haven’t given up hope that it could happen here, too. I don’t know. I’m just a little old lady less than a month away from retiring. I really don’t know. But I fear that fear and being afraid to take forceful action might be the death knoll for democracy. I don’t promote violent protest. I NEVER WOULD. I do promote large scale peaceful protest…so large that it could eventually shut down the work force and freeze all action BESIDES the protests. Like, MILLIONS of Americans dropping everything, gathering together, and refusing to continue with life as normal until something changes. I just don’t know what else can save the country at this point. I fear our country is going to ultimately depend on it. This entry was posted in Uncategorized on October 1, 2018 by Silver Willow.